Behold the Greatest Search Engine List on Earth. Please use this list freely. Share it freely. Add your comments below and suggest additions and we’ll update the content ASAP. Thank you Google for continuing to inspire the world with your humble robotic magic. There are over 500,000 search engines online. This is a list of at least 400 currently active search engines online. If you are a webmaster, a researcher, a developer, a student, a historian, or just plain curious, this list will tickle your search engine fancy for hours, days, weeks, months — maybe a millennia! Google was launched in 1997 and is the most used search engine in the world (and is often the most visited website in the world). BingSearch engine by Microsoft (launched in 2009). YahooA search engine that was launched in 1995, and since 29 July 2009, has been powered by Bing. Bloopish is a really cool experimental search engine. Highly recommended to checkout and explore this thing. Surf at your own risk, this thing is going berzerk! BaiduChinese / Japanese search engine. The most used search engine in China. YandexRussian search engine. The most used search engine in Russia. blekkoSearch engine which can display website statistics and has a user generated slash-tag feature for grouping webpages. IxquickMetasearch engine with options for choosing what results are based on. Respects search privacy and results can be opened into an Ixquick proxy window. StartpageSearch engine by Ixquick and enhanced by Google. Respects search privacy and results can be opened into an Ixquick proxy window. DuckDuckGo Metasearch engine. Respects search privacy. DogpileMetasearch engine based on Google, Yahoo, Bing and Yandex. ExciteMetasearch engine based on Google, Yahoo and Bing. BlackleGoogle searches but with a black background. Claims to be energy saving because of the black background. CluuzSearch engine featuring semantic cluster graphs, image extraction, and tag clouds. CompuServe SearchPowered by Netscape search and enhanced by Google. EntirewebSearch engine with results options of web, images and real-time. Displays thumbnail images of web search results. ExaleadSearch engine with results options of web, images, videos, Wikipedia, labs, blog and enterprise. Displays thumbnail images of web search results, links to related terms searches, narrowing down by site and file types, and a pie graph of the page languages. HotbotOwned by Lycos, with search results options for web, news, weather and shopping. LexxeProcesses natural language queries and delivers results in clusters by topic. MojeekSearch engine with a simple interface and no advertising. Offers the ability to create a customized topical or personal search index. Respects search privacy. YippyFormerly Clusty. Displays search term cluster links alongside search results for narrowing down searches. BioMed SearchSearch for images from biomedical articles. The images include captions and citations. IntuteSearch engine for study and research. New additions have now stopped, but has been archived. NihilScioEducational search engine in English, Spanish and Italian. QuertleSemantic search engine for biology and chemistry. RefSeekAcademic search engine. Powered by Google. ScirusSearch engine for scientific information. VadloLife sciences search engine for protocols, tools and PowerPoint slides. Virtual Learning Resources CenteAcademic search engine. Powered by Google. FindSoundsSearch-engine for sound effects audio files. RadioScoutSearch for public radio broadcasts. Powered by Google. MagPortalSearch engine and directory for finding online magazine articles. SilobreakerSilobreaker aggregates news, blogs, research, audio, video and other digital media content from global news, shared, user generated and open access sources. Find PDFPDF search. Powered by Google. FoofindFile search engine, with search types of audio, video, image, document, software and archive. PDF Science SearchMetasearch engine for PDFs. PrintFuPDF search engine. Displays keyword links under each search result. MacroglossaUpload an image, and receive a set of image search results which are supposed to look similar. Quality Image SearchImage search engine for images above a certain size. Digital Inspiration: Search Pictures on Flickr, MySpace, Facebook ..Search for photos that are on Facebook, Flickr, Zooomr, MySpace, US Government sites, Photobucket, Corbis, deviantart, Webshots, Blogger, Typepad and WordPress. PicFogReal-time search for pictures from twitpic, yfrog, plixi and twitgoo. TwiphoTwitter photo/picture search engine that can find twitpic.com, img.ly and yfrog.com images embedded in tweets. WebstagramInstagram photos search. Registered users can follow other registered users. imense picturesearchSearch engine for images from a variety of stock photography websites and image libraries. oSkopeVisual search assistant that lets you browse and organize items from Amazon, Ebay, Flickr, Fotolia, Yahoo! Image Search and YouTube. Clipflakes.tvVideo search engine that lets you create custom playlists of clips from top video sites on the internet through realtime search. IFACnetAccounting search engine powered by Google. LullarProfiles search by email, name (first or last) or username. SpokeoPeople search engine that aggregates white-pages listings and public records. SysoonDead people search engine, funeral news and directory. GoonuxSearch engine for Linux related websites. RoozzyMobile website search for broadband cellphones, mobile directory for quality cell phone websites. SearchIRCSearch for Internet Relay Chat (IRC) rooms and networks. Shodan Search for devices connected to the internet. Find devices based on city, country, latitude/longitude, hostname, operating system and IP. SurfWaxTyping in a search term instantly reveals a set of webpages with titles beginning in the search term, from 140 popular RSS websites. SwoogleSearch for a special class of web documents called Semantic Web documents, which are written in RDF. sengine.infoFinds websites instead of webpages. Search via domain names, titles, keywords or server IP. ColorOfSearch for products of a chosen colour or palette. EcofreekAggregates and searches websites and libraries for free, swap trade, and garage sale/estate sale(s) items. eudict.euSearch engine with textual and graphical output of results. FactbitesA cross between a search engine and an encyclopaedia. The results return complete, informative sentences about the search topic. FAROOSearch engine based on peer-to-peer (P2P) technology. Google minus GoogleSearch with Google without getting results from Google sites such as Google+, Blogger and YouTube. Green MavenGreen Search Engine which provides environmentally aware results, includes news and products. Powered by Google. QueryCATSearches for websites containing questions containing the search term. SeeksSearch engine based on peer-to-peer (P2P) technology. SnappyfingersSearches for websites containing questions containing the search term. ZanranA search engine for finding data and statistics. The search results will be graphs, charts and tables. EcosiaDonates at least 80% of its advertising revenue to a rainforest protection programme run by the WWF. Powered by Bing. EveryclickGives money to charity. Powered by Yahoo. GoodSearchGives money to charity. Powered by Yahoo. RippleGives money to charity. Powered by Google. Similar Site SearchFind similar websites to the submitted URL. Allows users to rate the websites in the search results. Similicio.usEnter a URL, and then find similar and complementary websites. AnooXSocial networking based Search engine. Users can vote for their favourite web results. Also has a Q&A section. FooxxA blend of search and social bookmarking. With FOOXX you can discover things, which other users have already found, rank websites, nominate, recommend, block, publicize favourites or share them with other users. SearchTeamSearch engine which allows the saving of searches to search spaces (which can be done collaboratively). SlikkAllows the saving of webpage links appearing in the search results, and the opening of webpages in a tab with a variety of display options. Powered by Google. SencyCity based twitter posts search. Social SearcherSocial search. Searches for Facebook, Twitter, Google+, Myspace and Linked posts, pages, images, groups, jobs etc which are open to the public. SpezifySearch results show a montage of twitter posts, Flickr images, Amazon and ebay adverts. TopsySocial search. Searches for links from, and posts, images and videos on Twitter and Google+. TwitorityAuthority based Twitter search, find Twitter postings by number of followers. ApocalXMetasearch engine based on Google, Bing and Yahoo! Has a special search for recipes and reviews. Carrot2Metasearch engine based on a variety of search engines. Has clickable topic links and diagrams to narrow down search results. CosmoageMetasearch engine based on Google, Yahoo and Bing. DevilfinderMetasearch engine. Respects search privacy. eLocalFinderMetasearch engine based on Google, Yahoo, Bing and Ask. Displays results in a table, with the results from each search engine, along with an overall ranking. FindayDisplays topic rankings alongside web search results. Enhanced by Google. ForelookMetasearch engine based on Google and Bing, and with options to base the results on other websites. FuzzFindMetasearch engine based on Google, Yahoo, Bing and del.icio.us. Also has trends in pictures and trends news feed sections. GoKookyGoMetasearch engine which displays thumbnail shots in the web results, and allows users to open search results webpages within a frame, and comment on webpages in the search results. GooframMetasearch engine based on Google and Wolfram Alpha. GopherMetasearch engine based on Google, Yahoo and Bing. Harvester42Displays search results from a wide variety of search engines. I Net MonsterMetasearch engine very similar to GoKookyGo. iBoogieMetasearch engine with customisable search type tabs. Search rankings have an emphasis on clusters. Info.comMetasearch engine based on Google, Yahoo and Bing. IseekMetasearch engine with options for narrowing down searches based on related topics, people, places, organisation, dates/times, abbreviations, source, and recent queries. MammaMetasearch engine with search results options for web, images, news, Twitter and jobs. MetaCrawlerMetasearch engine based on Google, Yahoo and Bing, with search results options for web, images, video, news, yellow and white pages. MonstercrawlerMetasearch engine based on Google, Yahoo and Bing. OpenText Federated Query ServerMetasearch engine based on Google, Bing, Yahoo, Ask, Wikipedia and Open Directory. States the number of results from each source, and the time taken to fetch those results. Also has a social search engine based on Facebook, Twitter, Youtube and LinkedIn; a news search engine based on The Guardian, BBC News, Washington Post, Reuters, and the LA Times; and a health search engine based on nine sources. PolyMetaMetasearch engine based on Ask, Google, Yahoo and Bing. In the web search results, PolyMeta displays the number of Facebook likes each web page has, along with a few images, videos, twitter posts, and blog posts. QrobeMetasearch engine based on Google, Bing and Ask. Qrobe has its own set of commands to refine searches. ScandooMetasearch engine based on Google, Yahoo, Bing and Ask. SearchMetasearch engine owned by CBS Interactive. SgybaMetasearch engine based on Google, Yahoo, Bing and Ask. SperseMetasearch engine very similar to Squikoo. SquikooMetasearch engine very similar to Sperse. Stinky TeddyReal-time metasearch engine with search options for web, news, video, real-time and images. WebCrawlerMetasearch engine based on Google and Yahoo. WebfetchMetasearch engine based on Google, Yahoo and Bing. YometaMetasearch engine which displays search results as a Venn diagram with three circles representing Google, Yahoo and Bing. BiglobeJapanese portal and search engine enhanced by Google. Ceek.jpJapanese metasearch engine based on Ask, Baidu, Bbing, Marsflag and Naver. FresheyeJapanese search engine. Powered by Naver. Metcha SearchJapanese metasearch engine based on Baidu, Naver and Yahoo. Nate Korean search engine and portal. A single search would produce categories of results including apps, books, websites, dictionary definitions, news, images, videos, social search, blogs, and Q&A. Naver Korean search engine. The most popular search engine in South Korea. Rediff Indian search engine in English. sify.com Indian portal (in English) and search engine enhanced by Google. IlseDutch portal and search, which displays various categories including: Google web results, images, products, twitter posts and job vacancies. Jaan.beFlemish search engine and portal. Zoek.nlDutch search engine. Powered by Google. BabyGoFrench search engine for children. Includes search option to find pictures to colour in. EchonimoNews search engine. In French, but with a choice of language for search results pages. InfoseekFrench search engine which rejects certain types of sites. Powered by Google. Toile du QuébecFrench Canadian search engine. Öko-Anbieter.deGerman search engine for eco-vendors and organic produce and ecologically oriented services, processes and manufacturing processes. Powered by Google. Blinde KuhGerman search engine for children – funded by the Federal Ministry for Family Affairs, Senior Citizens, Women and Youth. DigiBibSearch international library catalogues and literature databases. In German, but with an English language version. FastbotGerman search engine which allows user comments of search results, and allows users to open search results in an anonymous proxy window. MetaScrollGerman metasearch engine. Has various filtration options. 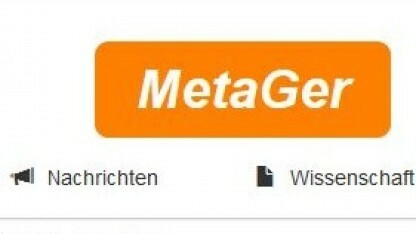 MetaspinnerGerman metasearch engine. Has various filtration options. Netluchs.deGerman search engine. Bases much of its search results on links posted on twitter. SemagerGerman search engine where users can get preview shots of webpages in the search results. T-OnlineGerman web portal and search engine powered by Google. AnazitisiSGreek search engine powered by Google. AristoteleItalian search engine powered by Google. Gjlg MetamotoreItalian search engine for Google, Yahoo and Live groups. IusseekSearch Engine of Italian and other European law. Libero – RicercaItalian search engine powered by Google. VoluniaItalian search engine, which allows users to comment on search results. EniroSwedish business directory and search engine enhanced by Google. JubiiDanish portal and search engine powered by Google. Elisa.NetFinnish web portal and search engine powered by Google. Formerly Kolumbus.fi. Leit.isIcelandic search engine and portal. Klábosení.czCzech and Slovak Twitter search. Gizike.huHungarian search engine. Includes a set of buttons to insert accented characters into the search text area. Lapozz.huHungarian search engine powered by Google. Displays images next to webpage search results. Ok.huHungarian search engine enhanced by Google. MorfeoSlovakian portal and search enhanced by Google. Najdi.siSlovenian search engine and portal. BuscarPortuguese search engine powered by Google. IOLPortuguese portal and search engine powered by Google. Sapo Portuguese search engine, with a different version for each Portuguese speaking country. Site de BuscaBrazilian search engine. UOL BuscaPortuguese search engine powered by Google. TerraSpanish language portal and search engine enhanced by Google. BukinistRussian bibliographic search engine designed to find books and other electronic texts, freely available on the internet. Codavr.ruSearch Engine for Russian-language portals, forums and blogs dedicated to the development of websites and web-programming. Powered by Google. nigma.ruRussian search engine where search results can be displayed within a frame which highlights the search terms on the webpage. Powered by Yandex. YamliArabic and English search engine powered by Google. Can translate search terms from English to Arabic. BehjooTranslates search term into Farsi, and then searches via Google. ParseekPersian search. Powered by Google. Walla!Israeli search engine powered by Google. AnsearchPowered by Google. Displays images from the webpages alongside the web search results. DeeperWebPowered by Google. Displays keyword link cloud, answers, metrics, news, resources, wikipedia and blog search results, alongside regular web search results. ExactseekHas search options for web, news, images, video, real-time, blog and shopping. FindelioPowered by Google. Displays an image next to web-pages in the in the search results. HeaprSearch engine powered by Google and also displays Twitter (real time), Wolfram Alpha and Wikipedia results. Only works on Firefox and Google Chrome browsers. KidRexKid safe search engine powered by Google. MundusearchPowered by Google, and has search results options for web, sounds, lyrics+music, and video. MyAllSearchPowered by Google, and has search results options for web, sounds, lyrics+music, and video. OoloneDisplays web results as large thumbnail images of webpages. PepesearchPowered by Google. Also has directory, news and shopping links. Pesquisar.orgHas options for file type, languages and where the search term appears. Powered by Google. RedzSearch engine with large thumbnail search results. ScourFormerly aftervote.com. Allows sorting according to different search engines. Registered users can post comments on webpages in the search results. SearchhippoSearch engine with a spider that begins with indexing large directories (such as dmoz.org). Spacetime 3DPowered by Google. Shows large preview images. SurfcanyonSearch engine with results options for web, news, images and maps. The Net 1Powered by Google. Displays an image from the webpages, in the search results. Agent 55Displays search results from a chosen search engine within a frame. AskbothDisplays Google, Bing and Twitter results on the same screen. BlindsearchMake a search query then vote for the column which you believe best matches your query. The columns are randomised with every query. DrazeDisplays search results from a chosen search engine within a frame. GiapetoDisplays search results from a chosen search engine within a frame. GrabAllCompares the search results of two selected search engines. ManyGetDisplays Google, Bing and Yahoo results on the same screen. Multi SearchingDisplays search results from a chosen search engine within a frame. Multiple SearchDisplays search results from a chosen search engine (or website) within a frame. nowGoogleDisplays search results from a chosen search engine within a frame. PolyColaDisplays results for two chosen search engines on the same screen. Search GBYDisplays search results from a chosen search engine within a frame. SearchbothCompares the search results of two selected search engines. SearchEzeeDisplays search results from a chosen search engine within a frame. SeeaarchDisplays Google, Bing and Yahoo results on the same screen. Targ8Displays search results from a chosen search engine within a frame. trovando.itDisplays search results from a chosen search engine within a frame. TwingineDisplays results for Bing and Yahoo on the same screen. WotboxSearch engine with country specific searching. Options to display country flags, and include preview and translation features. YabigoDisplays Yahoo, Bing and Google search results. ZuulaCustomizable tabbed interface for the major search engines. Offers web, image, video, news, blog, and job search. KvasirNorwegian search engine powered by Google. OneLookSearches for definitions from many online dictionaries. SoorsaSoorsa.com – Start searching the internet with Soorsa. A new search engine for your home page. moresearch.bizSearch engine and news aggregator in English and German. VerbaseA search engine with search result rankings based (at least in part) on the search results favoured by its users. The search results include thumbnail images of the webpages, and a feedback box (called a Verbox) where users can rate a website (and check for older versions of the website, or have it translated). Twitter results with links to webpages from that website are also displayed within the Verbox. Verbase also allows the user to attach content to keywords (a feature known as bases) and create keyword based forums (known as chatbases). InfoSpaceA metasearch engine that combines the results of Google, Yahoo and Yandex. BlippexBlippex is a privacy respecting search engine that doesn’t base webpage search rankings on inbound links (like Google does), and instead bases it partly on the length of time people stay on a webpage. The time data is gathered through a browser plugin that users may install. While searching, the user can choose how much the ‘dwell factor’ influences the search results ranking. The user may also limit the results to pages Blippex has crawled within a specified number of days. Blippex was launched in June 2013. NerdyDataA search engine that searches the source code of webpages rather than the visible webpage text. ZeeklyA web portal and a private and secure metasearch engine. Qwant Qwant is based in France and was launched in February 2013. The search results are displayed in five columns: web, news, qnowledge graph (just Wikipedia results), social, and shopping. There are also separate search sections for media (videos and images) and people (social media), and there is also a boards section. Yam SearchA web search section (powered by Google) in Chinese, on the Taiwanese website Yam. WbSrch WbSrch is a general search engine with indexes in 25 languages. Egerin A Kurdish web portal and search engine. SalamAn Iranian meta-search engine with various options for display and search results (such as file type, site type, language and country). It also allows the user to control the weighting of the search engines in determining the search results. Matcoan Matcoan is a search engine that is powered by Google. CENTIL – ÖsterreichCentil is one of the largest search engine in Europe with its own index. Homepage submission it’s free. This search engine is foundet on 2014 from René Funk. CENTIL – SchweizCentil is one of the largest search engine in Europe with its own index. Homepage submission it’s free. This search engine is foundet on 2014 from René Funk. OdiaSearch Oriya / Odia search engine. Lists Oriya language content websites. Squishy Squashy Search the web ADVERT FREE without any tracking. oscobo Oscobo is a UK search engine that does not track you and does not share your search history with other sites. metager MetaGer is a metasearch engine focused on protecting users’ privacy. Alhea Alhea is simply the easiest way to find better search results from more of the Web, and the most important thing is that has been created to serve for everyone. Lilo By searching with Lilo, you finance social and environmental projects. 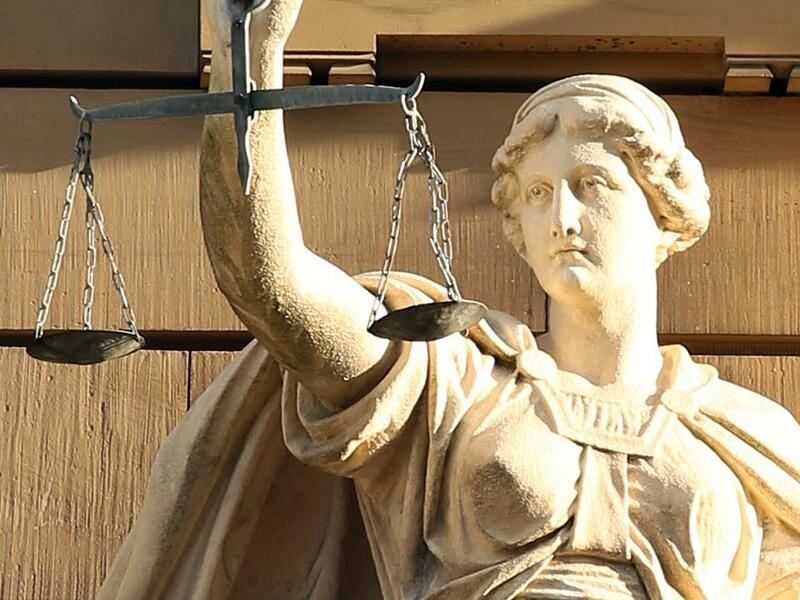 Mindworks Free Full-Text Online Law Search Engines Mindworks Free Full-Text Online Law Search Engines for Cases, Commentary and Legislation in English, French, German and Russian law. TravelTime Maps Location search engine that searches by travel time, not miles radius. PipilikaPipilika Is a Bangla search engine, Operated From Bangladesh.Which search for: Web,News,Blogs,National E-infokosh,Jobs,Books. Pipilika Pipilika Is a Bangla search engine, Operated From Bangladesh.Which search for: Web,News,Blogs,National E-infokosh,Jobs,Books. KhujunKhujun.com Is The Second Largest Used Search ih Bangladesh.